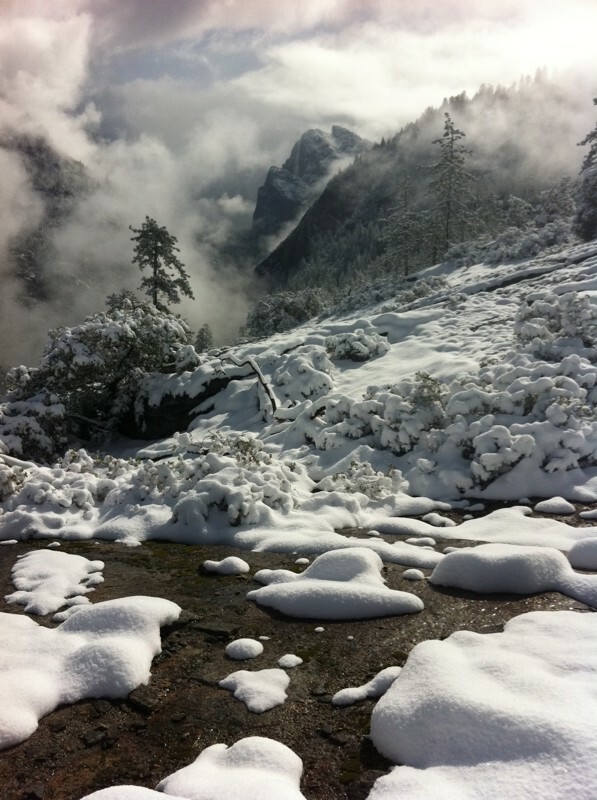 Yosemite Steve (aka Steven M. Bumgardner) took a bunch of beautiful shots this weekend during and after the storm. This one I was thinking about using for Photo of the Day but decided on the other. I wanted to share this one anyway. I love the way the clouds are moving in the Valley revealing only small glimpses. Next Post Frazil Ice is Back! For over 30 years I've enjoyed hiking, backpacking, fishing, photographing and exploring Yosemite and the Sierra Nevada. More About the Author.